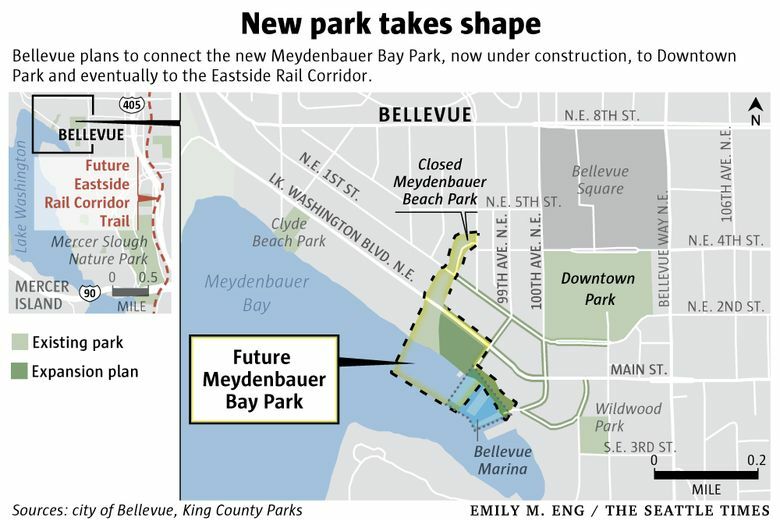 Bellevue is starting construction on Meydenbauer Bay Park on Lake Washington, a key part of what the city envisions as a grand pedestrian boulevard connecting the lake to downtown and the Eastside Rail Corridor. City leaders first made acquisition of waterfront along Meydenbauer Bay part of its parks-and-open-spaces plan in 1987. Between 1992 and 2007, the city acquired 12 properties, nine of them private homes perched above the lake. The properties were all sold voluntarily. Still, Grindeland recalls many public meetings with neighbors worried about the size and makeup of the crowds who would inevitably descend on a broad, sandy, swimming beach. “Whenever you’re going to change the neighborhood, there’s consternation, complaints that ‘We don’t want those people,’” Grindeland recalled. And that was before downtown Bellevue’s post-recession boom. The neighborhood has added more than a dozen new apartment buildings and its population has swelled to almost 14,000, according to the city, double what it was in 2010. 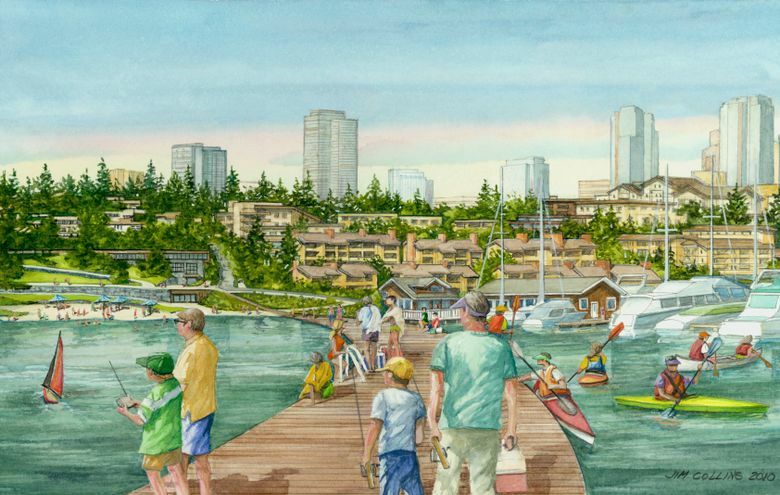 Jim Hanson, who lives in the Whaler’s Cove condominiums just east of the Bellevue Marina, said the city’s original plans for the park included more commercial activity, such as kiosks for food. Those plans were scaled back, and now just a small-boat rental facility will operate out of the whaling building. Another neighbor, Patricia Montgomery, and her late husband, Howard, raised their six kids in a home overlooking the park. She said the children disappeared down to the lake on summer mornings and didn’t come back until night. The 94-year-old was given what’s called a “life estate” when the city purchased her property. It means the house will be torn down and the land become part of the park only after her death. Montgomery said her grandchildren were thrilled to learn that the home wouldn’t be bought by private owners, but would remain a place they could return to and bring their own kids. She was a little dismayed to learn that the park wouldn’t reopen until 2018, but said she was confident she’d still be alive for the ribbon-cutting. “I’m sure I will,” she said. 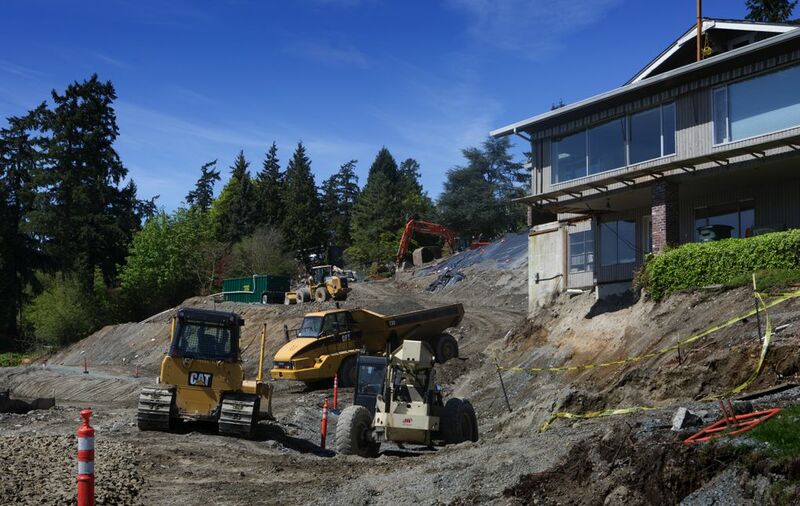 Last week, bulldozers and backhoes chewed up parts of the steep hillside where the park will be built. The earthmoving is part of a separate construction project to relocate sewer lines that in some cases were in the water or hanging over the lake under piers. 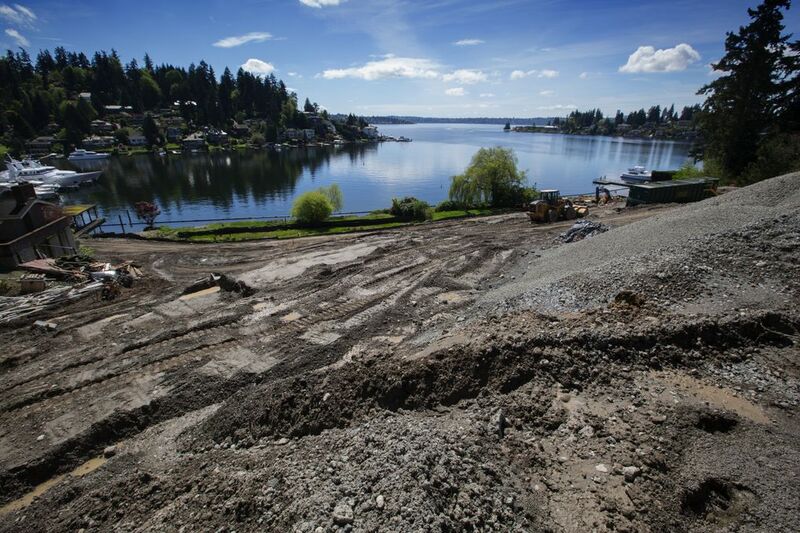 On a tour of the 10-acre site, city officials said the broad contours of the future park, with its terraced hillside, winding walkways and shoreline, are starting to emerge. They also pointed out a wooded ravine at the park’s north edge where a stream that’s now in a pipe will be daylighted and the natural habitat restored. The park project also includes renovating the whaling building for use as a meeting space and a rental facility for small boats, as well as adding a public boat launch for hand-carried kayaks, canoes and stand-up paddleboards. Money for the project comes from the city’s parks real-estate excise tax and capital-investment program funding, along with state and federal grant funds. Glenn Kost, planning and development manager for Bellevue Parks, said surveys of residents over the decades have consistently shown that people want to get close to the water. The city does have half a dozen waterfront parks, he said, but none within walking distance of downtown. “People are going to be surprised at how close this is,” Kost said. 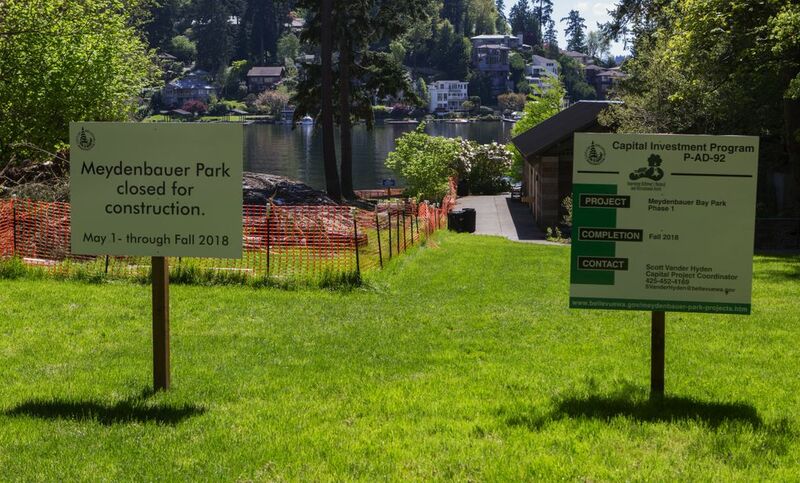 And while the next year and a half of construction will be “a bloody mess,” and the existing park and its beach access will be closed, Kost predicted that residents will love the result. “It’s going to be full of people. This will be spectacular,” he said.